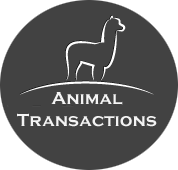 The principles of Animal Transactions were developed by Sarah and Paul Bird and have evolved since the mid 80's. We combine an ethical behaviour based approach to animal and human interaction with a practical application for animal therapy, veterinary, enrichment and training purpose. Our principles were first applied in S.W. France with a herd of wild Bactrian camels. Since then, we continue to evolve and document our work, whist consulting and training animal practitioners, therapists, the veterinary profession, zoos and therapy centres around the world on it's principles and application to enable open interaction between human and animal. AnimalTransactions principles have since been practised across species and the teams commitment to open this interactive methodology for the benefit of animals, handlers and professionals continue in earnest! It is our desire to promote best practice. With limited force and maximum enforcement to ensure that animals work in a positive environment through the understanding and consideration of the species and environment involved.